The school year is coming to an end and if you are like me, you are already thinking about how to decorate for next year. This year, I have used the Chalk It Up! 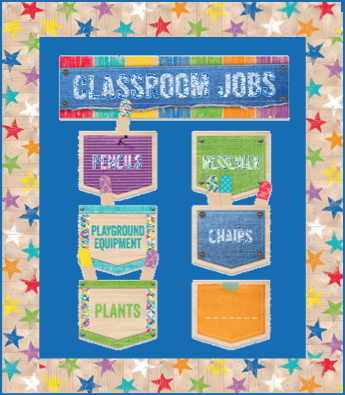 collection from Creative Teaching Press. I love the simplicity and old school look with the pops of color this collection has. 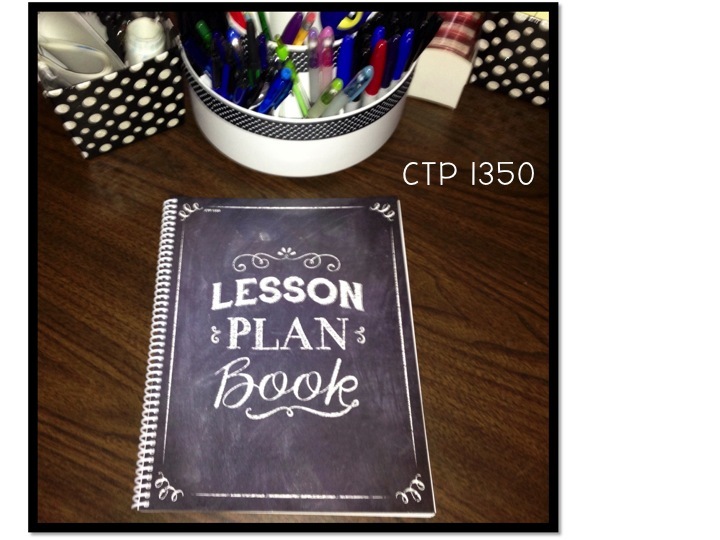 I use the lesson plan book to write out my weekly plans. It works perfectly for all my needs and the fact that it coordinates with my room decor is a bonus. 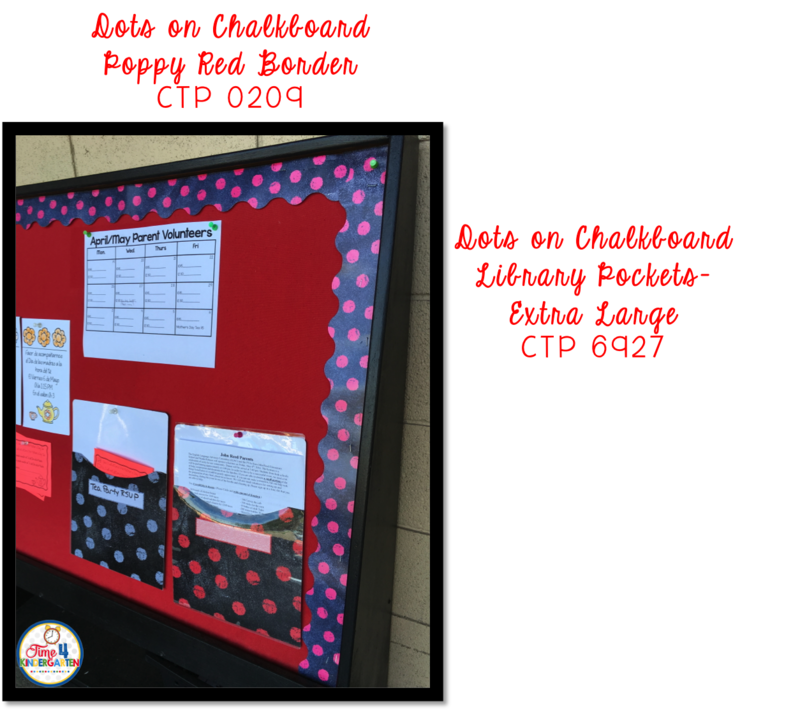 Using a combination of products I created a book bag check out system. Each book bag number is written on the pencil. Students names are written on the pockets. This is my parent information board that I have outside my door. As you can see I used the Dots on Chalkboard Border to outline the board. I use the extra large library pockets to hold important notices for parents or as a place for parents to return notes to me. With only 6 weeks left, I'm starting to imagine how I want to decorate for next year. I always try to reuse borders, letters, pockets, and charts from previous years if they are in good condition. 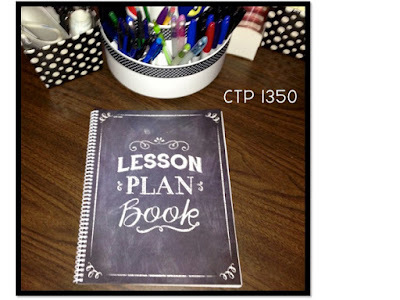 I am very excited about the new product Creative Teaching Press has for 2016. I just love the new Upcycle Style collection from CTP. 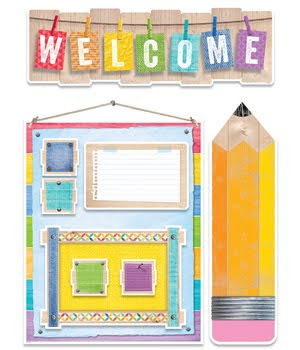 Who wouldn't want to start the year off welcoming their students with the Welcome to School Bulletin board set. 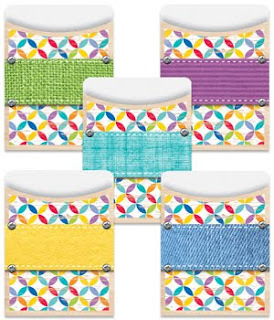 They also have this fun Rustic Medallions border that can be used in conjunction with their other products below. 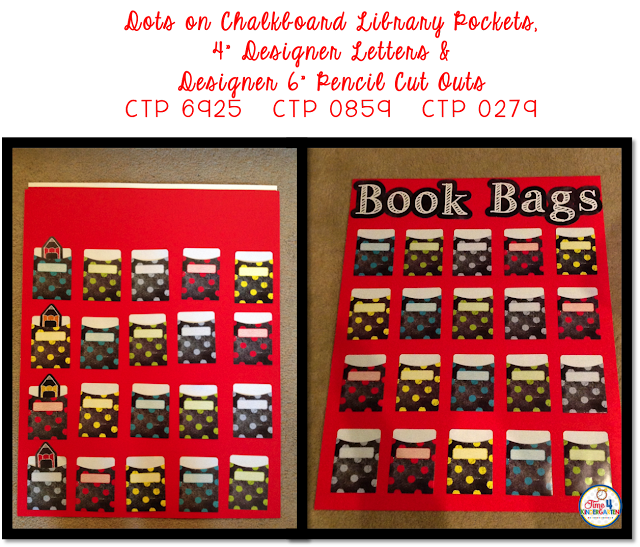 The Upcycle Library Pockets are similar to the pockets I used above to create my book bags check out system. 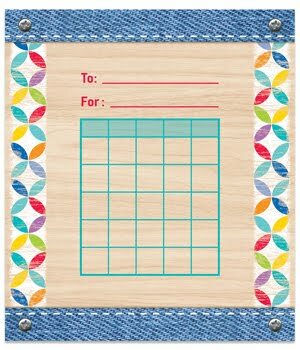 They can also be used for center management, creating job charts or storing game pieces. The Rustic Stipe Nameplate has a whimsical feel. 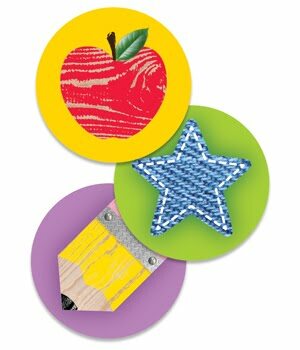 These can be used to label students desks and cubbies, but they can also be used to label items around the classroom too. Here are a few other items in the collection. 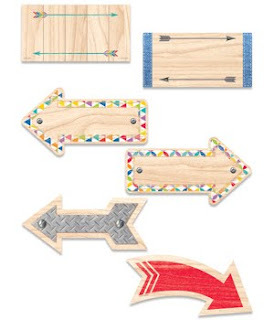 These arrows could be used to locate places around the classroom or label baskets for turning in work- be creative and imaginative! Now, how would you like to win these fabulous pieces I've just shown? All you need to do is enter below. These magnetic decor strips will be available soon. Make sure to enter, tell your friends and check back on May 4th to see if you've won. If you want to see what my other CTP Blogger Friends are giving away and enter to win their goodies too, just click on over to my friend Jennifer's blog over at Herding Kats to see all the goodies she has to give away. The magnetic strips look awesome! Perfect for dividing up my boards! I love the library pockets! My favorite item is the library pockets! Love the extra large library pockets! I like the incentive charts. My favorite product is the Welcome to School Bulletin board set! And the library pockets! I love that bulletin board set. The welcome sign is so adorable! I love what you introduced here. But I'm not sure what we will get after we purchase it. Do we get a file and we need to print it out ourselves or is it a product and will be directly sent to us? Hi Lily- The CTP products are shipped to you. Hope that helps.